Thought I would introduce you to my best friend Max. He is never far away and probably knows more about me than any body else. What a sweetheart. 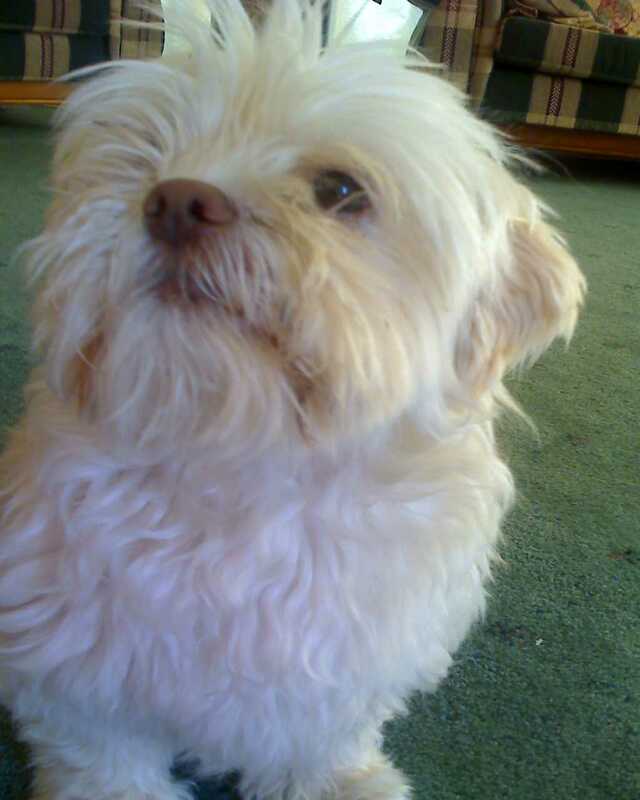 I love scruffy little dogs like Max. Sooo cute. I know what you mean about your dog probably knowing more about you than anyone else. I'm glad mine can't talk too! oh yes I hear you on this one, my little dog is exactly the same! What a cutie Kym, I bet you just love him to pieces. OMG he looks like Sophie! With a face Like Max's I don't imagine you say no often! Thanks for sharing. I would love for you to add my link so others know about this fabulous party and they can join in too. Have a great day. I just want to give Max a big hug!!! Bentley knows lots about me too. i feel the same about my cat-she knows me best! too funny.